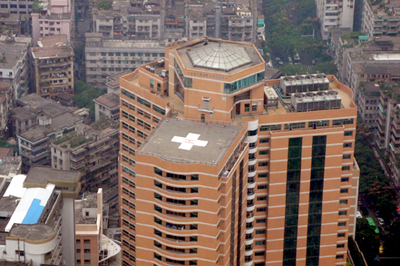 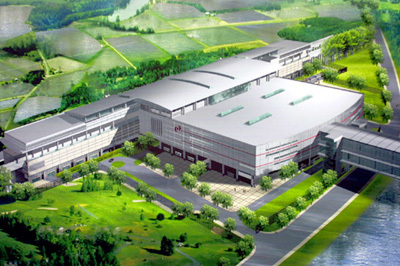 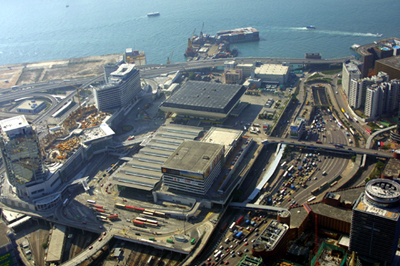 The HKMFT was built in 1986. 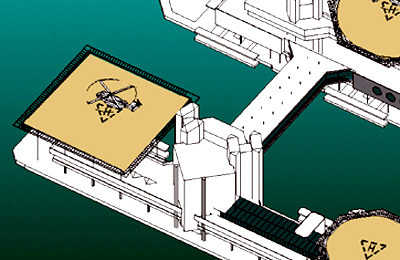 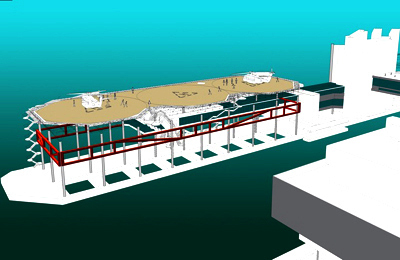 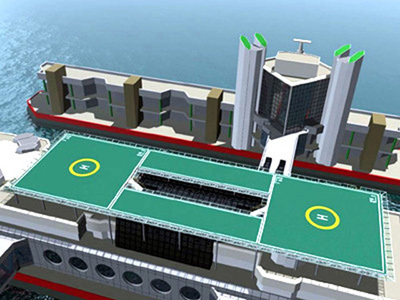 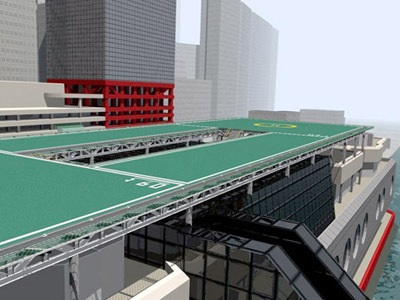 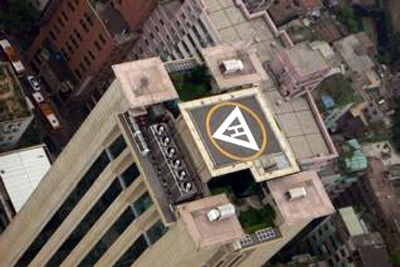 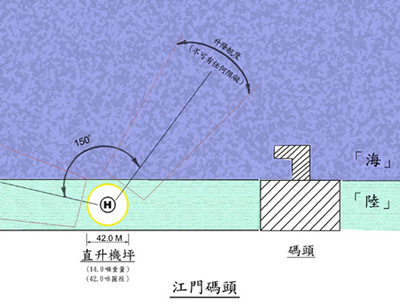 The roof-top helipad was supported on four hydraulic lifts that lowers the helipad 3.85 metres during typhoons. 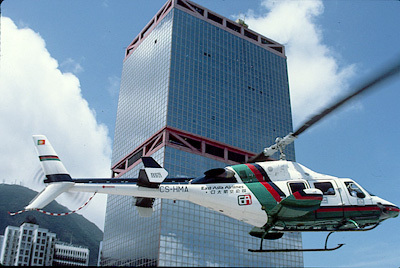 * Helicopter service between Hong Kong and Macau started in 1991 with Bell 222 twin-engine, eight-seat helicopters. 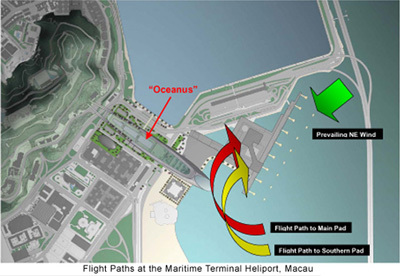 A one-way trip took 22 minutes. 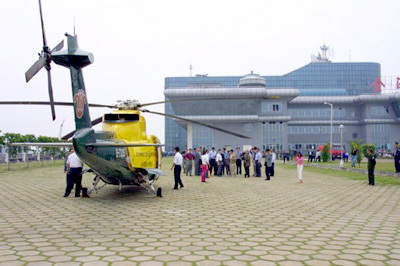 * The fleet was upgraded to the twin-engine, 12-seat Sikorsky S76C+ in 1998 and the helipad was enlarged to accommodate the larger aircraft. 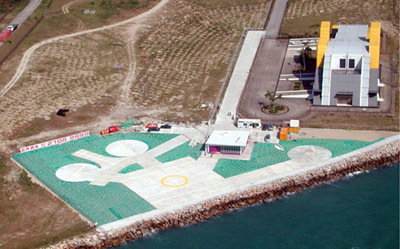 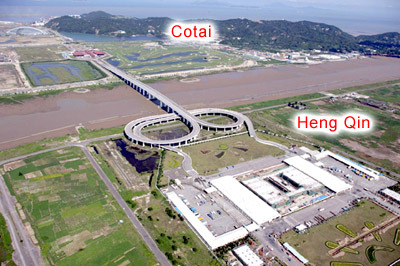 The MMT Heliport was built in 1995. 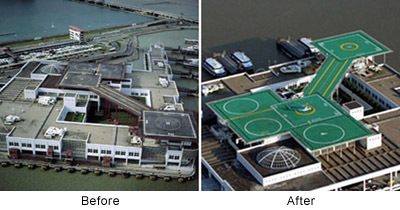 * 2001 - the MMT Helipad was upgraded and expanded to accommodate larger and heavier Category IV Helicopters. 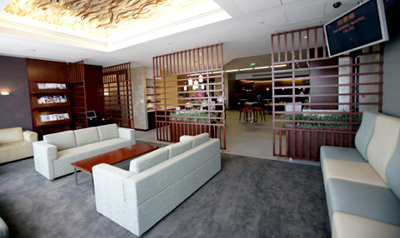 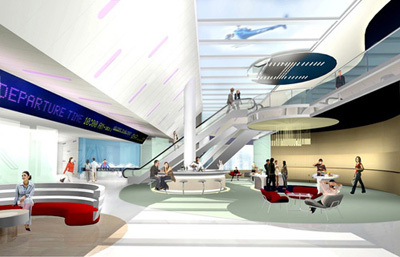 * 2004 - the Passenger Lounge was upgraded. 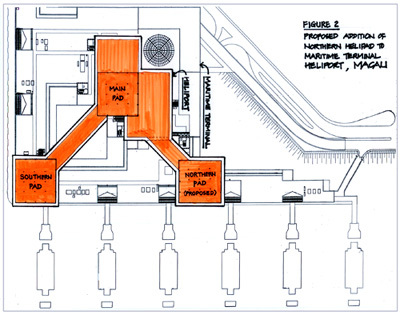 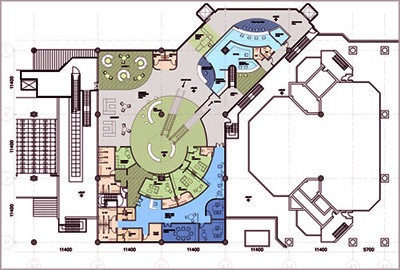 * In 2005, the addition of a Northern Helipad was proposed to accommodate anticipated flight path changes due to new construction along the waterfront. 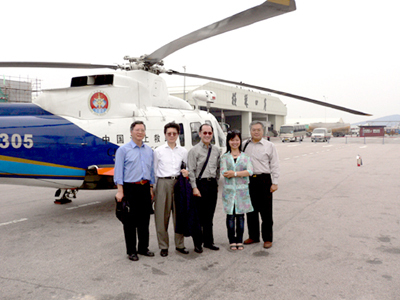 In 2003 HeliTours was launched, offering around-the-island helicopter sightseeing tours of Hong Kong. 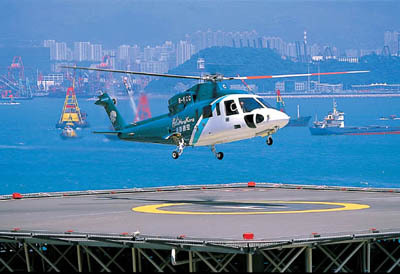 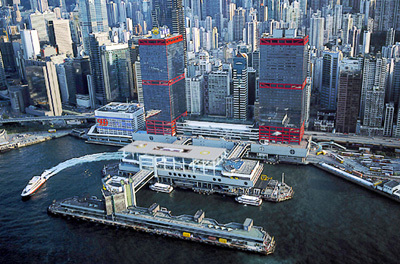 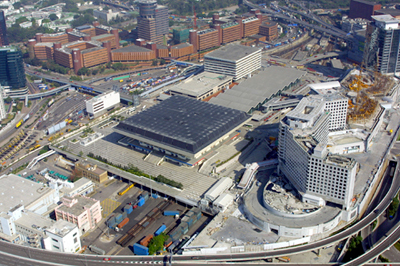 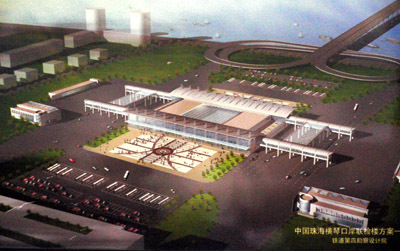 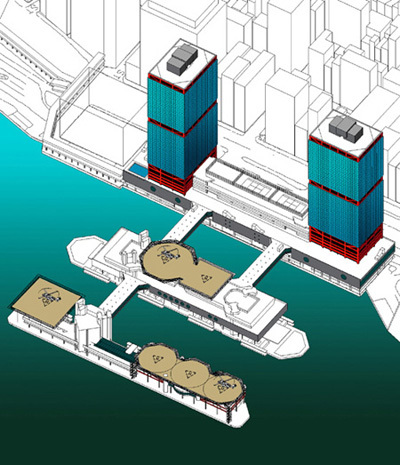 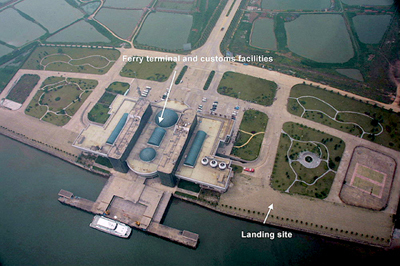 The West Kowloon Heliport was purpose-built on land provided by the government for this new service. 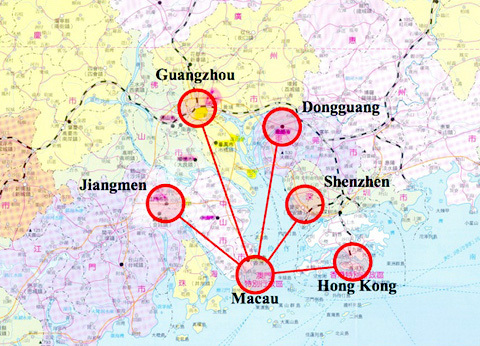 A number of strategic locations around the PRD were evaluated for possible inclusion in a PRD helicopter network.